An MP investigating claims of Russian interference in the Brexit vote has said the founder of Leave.EU must explain his contact with the country. The Sunday Times is reporting Arron Banks had more meetings with Russian officials than he previously admitted. Committee chairman Damian Collins said the public had a “right to know” the level of Mr Banks’ contact with Russia. Mr Banks said any suggestions Leave.EU received financial help from Russia was “complete, absolute garbage”. The businessman, who has agreed to appear before MPs on Tuesday, told Reuters he and other Brexit supporters were victims of a “political witch-hunt”. Since Britain voted to leave the EU in June 2016, questions have been raised about the unofficial campaign of Leave.EU and its chief backer Mr Banks, as well as the possible influence of Russia on the referendum result. The Sunday Times reports Mr Banks had three meetings with the Russian ambassador to the UK. In his book, The Bad Boys of Brexit, Mr Banks had previously admitted to only one. Mr Collins, chairman of the Commons Digital, Culture, Media and Sport Select Committee, told BBC Sunday Politics that it was “big news” and “very relevant”. The Conservative MP said there were “important questions” for Mr Banks to answer, adding: “We want to understand more to what extent Mr Banks profited from his relationship with the Russian embassy. The MP said: “Did he make money out of it? Did he use that money to fund campaigns? The Sunday Times said Mr Banks and Leave.EU director of communications Andy Wigmore had also had lunch with the Russian ambassador in November 2016 – just three days after they and the former UKIP leader Nigel Farage had met Donald Trump in New York following his election victory. Mr Banks and Mr Wigmore also discussed potential business opportunities in Russia, emails reportedly show, including a proposal involving six gold mines. 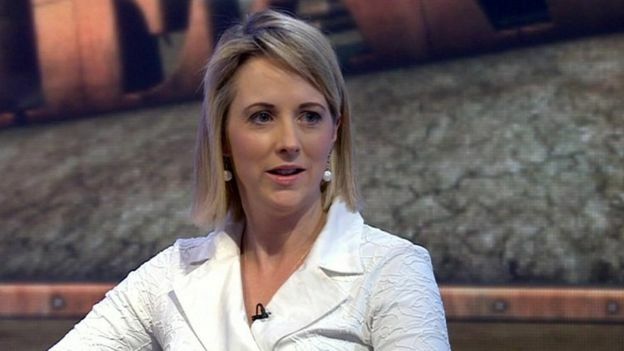 The scale of the pair’s links to Russia is revealed in a series of 40,000 emails obtained by the former Sunday Times journalist Isabel Oakeshott, who ghost-wrote Mr Banks’ Bad Boys of Brexit book. Ms Oakeshott passed them to the paper after her email accounts were “hacked”. She suggested Mr Banks and Mr Wigmore were “shamelessly used by the Russians”, but added nothing she had found “invalidates the judgement of the 17.4m people” who voted for Brexit. “Had voters known about the links between Banks and Russia, I am certain they would still have made the same decision,” Ms Oakeshott said. Mr Banks, who previously pulled out of a Commons inquiry into “fake news”, said he would now be giving evidence, as planned, on Tuesday. The businessman, who has given large sums of money to UKIP in the past, told Reuters he had met diplomats from across the world as well as “briefing” the US State Department in Washington. “So if we are Russian spies we must be American spies too,” he said. Mr Banks said he could not have profited from any business deals in Russia because he did not agree any and joked that if Russia had promised him any financial help, he was “still waiting for the cheque”. “This is just complete, absolute garbage – it is like the Salem witch hunt. They just keep on screaming ‘witch’, ‘witch’,” he told Reuters. Meanwhile, Mr Wigmore denied handing over any Brexit-related information. “We never offered any information to… any Russian any details of our campaign,” he told the Sunday Times. In a tweet, Mr Wigmore went on to suggest the emails had been illegally obtained. The Russian embassy has said it has not intervened in UK domestic politics.